As we move through life, we get wiser, and our ambitions grow. We step up to take on more – it’s the power we all have. But as we age, the way our body makes power falters in a way we all need to understand. That’s where MitoQ comes in. antioxidant to support healthy energy levels, mental focus and overall well-being. A full three-month's supply of our original breakthrough MitoQ® formula. The original breakthrough formula supporting energy and key organ health. Supports heart health, blood pressure and heart rate within normal levels. 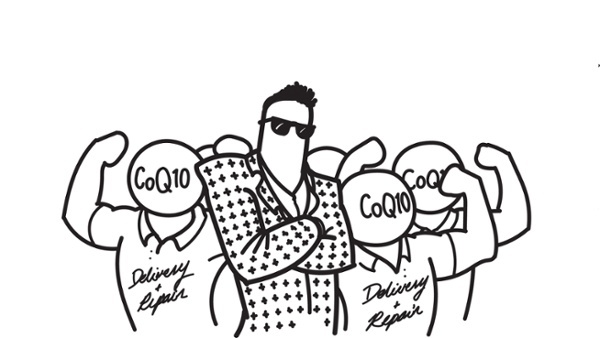 MitoQ® is a world-first, mitochondria-targeted CoQ10 antioxidant, which is absorbed through the mitochondrial membrane and directly into the body of the mitochondria, hundreds of times more effectively than regular CoQ10 supplements. - the risk of harm to our delicate cell equipment can be reduced. MitoQ® is the most-studied mitochondrial-targeted antioxidant. To date, over $50 million of independent research and over 350 peer-reviewed articles have been published, successfully testing MitoQ® across a range of health-related applications. Want to learn which MitoQ® is for you?